Make Christmas is as joyous an occasion as possible! We can act as a surrogate family for residents; comforting, encouraging and providing reasons for them to be happy. Test your knowledge of Christmas traditions from around the world! Get into the Christmas spirit with this music quiz featuring over 20 well known Christmas carols, hymns and songs. Another beautiful Merry Christmas poster! A fun Christmas carols themed quiz to enjoy! Here is a short story about the birth of Jesus to share. Some lovely Christmas themed poems to share! Make these gorgeous recycled snowmen to hang on the Christmas Tree! These spectacular photo Christmas trees are so simple to make and will attract clients, visitors and staff and generate lots of social interaction. This is a wonderful activity for seniors in nursing homes. These wreaths are stunning! They are so simple to make using pool noodles and Christmas balls. This is a wonderful and fun social activity for high functioning residents in nursing homes and assisted living facilities to enjoy. This is a lovely activity to get into the spirit of Christmas! It will bring wonderful scent to the whole facility in the weeks leading up to Christmas! Gorgeous glitter snowflakes for Christmas! A lovely activity and decoration for nursing homes. You may have clients who will be able to teach others how to say Merry Christmas in their language. Beautiful Christmas poster for printing! Many years ago when I found myself with 3 celiac (coeliac) clients - all three with a ‘sweet tooth’ - I came across this recipe. Even those without special dietary requirements loved them. Use empty jars from the kitchen or use Mason jars to fill with the spices and sugar needed to make Gluhwein. Tie a little tag around the jar with the recipe for making Gluhwein. A stylish gift! Wire coat hanger covered with tinsel, attach pegs with ribbon. An idea for those residents to hang their cards on. Here are some ideas for affordable gifts and Golden Carers homemade gifts. We used existing photographs of residents, copying to all the same size. A simple and stunning Christmas activity! Have fun creating these lovely cork reindeer! Cork is considered biodegradable and renewable. Some more word search fun for Christmas! Some interesting trivia about the history of mistletoe. There is something special about sitting down comfortably with some popcorn to watch a good movie with a few friends during the festive season; especially if the movie makes you laugh, lifts your spirits and inspires you. 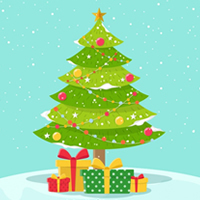 Here's a fun Christmas quiz for seniors in nursing homes and assisted living facilities. Decorate your facility or home with these beautiful evergreen balls. A fun winter themed quiz! A fun game that will generate much laughter! Seat participants in a circle with a ball, read the story and when you say the words 'right' or 'left' they should pass the ball in that direction. Create these beautiful poinsettias for hanging or to use as table decorations at Christmas. Video instructions included! The key to reducing stress at Christmas time is to get organised and plan ahead! These cute Christmas tree decorations are suitable for table tops, windowsills or desks. You can also sit them on top of tv's and radio's. Video instructions included! Another lovely Christmas activity using recycled materials. Create these beautiful centerpieces with minimal effort! Video instructions included. This activity offers lots of fun and plenty of opportunities to reminisce. Find out what participants used to cook for Christmas. Suitable for 2 people, this simple game can alert the mind and entertain. I bought an inflatable Santa costume off eBay for $31 and I can tell you it went down a treat. Christmas and nativity themed colouring-in templates to decorate your facility! Make your own unique Christmas polo shirts! Make you own Australian themed 12 Days of Christmas song to enjoy. This fun quiz is all about well known Christmas Carols. Here is some interesting trivia about Christmas traditions. Another lovely option for creating beautiful Christmas Wreaths. Get everyone into the spirit of Christmas with this fun activity. Thanks Joanne, this is a great idea! Any of the Arborvitae evergreens can be used; I find the Thuja occidentalis particularly good because the leaves as flat by nature, making it easier to glue the layers. Maintenance of dexterity. Promote sense of accomplishment. This is folk art and maybe some of your residents will remember playing with it as a child. Video included! Use Christmas cards to create lovely Christmas chain decorations! These cute fabric angels are easy to make and very attractive to use on the table or mantel piece, windowsill, shelves or to hang from ceiling. These beautiful wreaths can also be made with corks, large buttons, shells, and unshelled nuts. Use old cards to make ornaments for your Christmas tree or string them along to make a garland for walls or windows. Make a few of these lovely doves and place them on your Christmas table as a container for chocolate, cookies and marshmallows. There are dozens of ways to make Advent calendars from recycled material. This is just one of them. What is Santa Klaus called in some European countries? Do your bit to save the planet with this gorgeous recycled Christmas Tree craft activity! Use your old newspapers to make this beautiful Christmas wreath.Video instructions included! Recycle old doilies into these cute baskets for your Christmas table. They can be used to hold rum balls, chocolate, homemade Christmas biscuits and anything else you can think of. This is a very useful tree to have! It can be used all year around, just change the ornaments on Easter, Valentines Day, Mothers Day, Chocolate day, Wish Tree Day. This is a cute craft activity using discarded jigsaw puzzle pieces to create hanging decorations for your factility at Christmas. Here is a lovely christmas craft activity - create beautiful standing Christmas angels! Here is an activity that will help you with your resolve to become more ‘green’. It is fun to make and requires little skill and yet looks rather striking hanged in walls, doors, windows and shelves. Colouring-in, whether with crayons, coloured pencils or paint is therapy as well as a great way to pass the time absorbed in something creative. It may help to maintain what remains of dexterity and fine motor control. Here's another quiz to test your christmas knowledge!